One of the fun things about traveling is not knowing what will happen when you get there. Crazy stuff happens at the last minute. You think you can catch a train to the next town and you can’t. You think you made a reservation, but you didn’t. You think you will like a city and you don’t. Such things have happened to me more than once along the way. Now it’s much harder to be spontaneous because it’s easy to book hotels and everything else on line. You have to do the same to keep up with the crowd. Otherwise everyone else will beat you to the best reservations. This is a terrible technological advance in that it kills spontaneity. How can I have the best possible trip to France if I have to plan every hotel ahead of time? Sitting right here in Tucson, two months before the fact, five nights in Nice seems about right. But what if we get there and decide we’d like to sleep in Antibes instead? This lack of spontaneity is an especially big drawback when it comes to travel fiction. Last-minute changes are great for plot twists and dramatic action and lost lovers and new-found friends. My first trip to Thailand is a great example. A girlfriend and I were enjoying the beaches of Phuket. The island was lovely, the water was clear and warm, and the palm trees swayed gently in the wind. 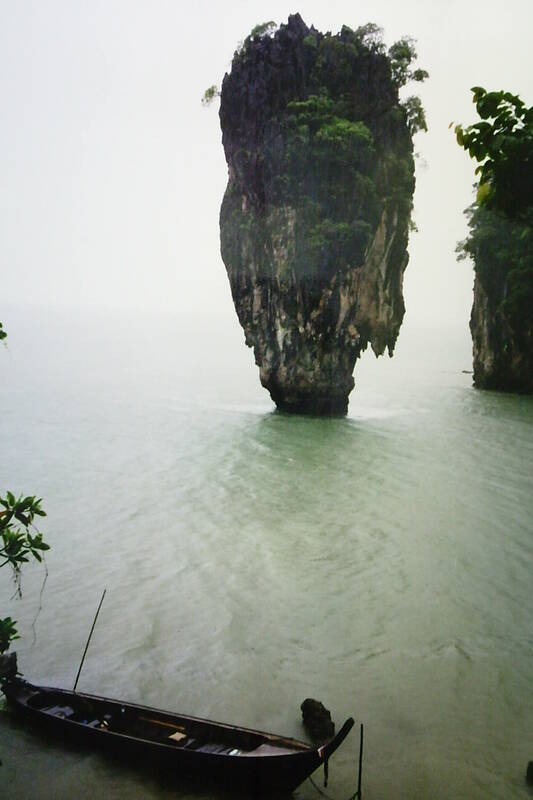 Then we signed up for a day’s tour to James Bond Island and surrounding areas. During our day of visiting temples and limestone cliffs, it started to rain. Boldly, we got into our kayaks and toured around anyway. But we couldn’t get a good photograph of James Bond Island because the rain was coming down so hard we couldn’t even get our hands out from under our ponchos. While being wet might have been uncomfortable, the next problem was that it also turned cold. Then we were really in trouble! The eight of us who’d gone on the tour were shivering so much by the time we got back to the mini-van to return to Phuket that the driver didn’t have to ask whether or not he should turn on the heater. My friend and I exchanged glances. The rainy season? We hadn’t thought about this issue. “Do you mean the rainy season has started all over Thailand?” I asked. 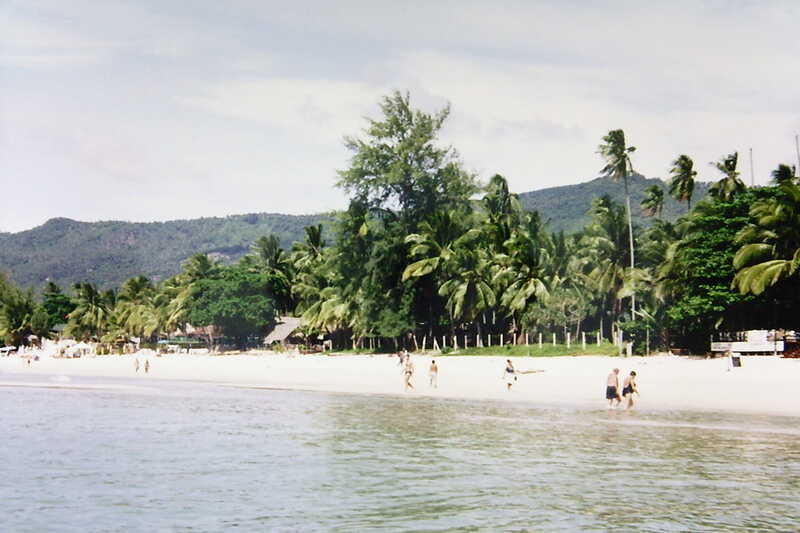 Koh Samui was further east. It boasted great temperatures, famous beaches, and a drier climate. “It won’t be raining on Koh Samui?” I asked again. As soon as we got back to Phuket, my friend and I went to the nearest travel agency. We booked tickets to Koh Samui for the day after the next. 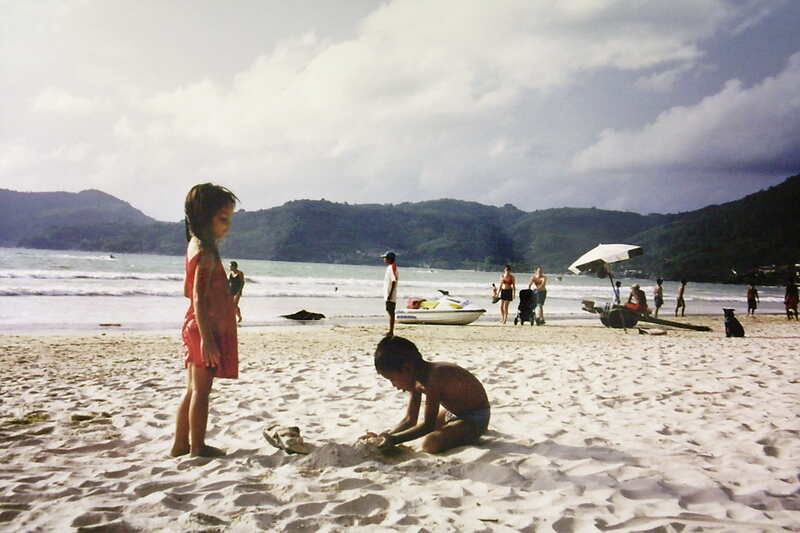 Our last beautiful days in Thailand were marked with luxurious afternoons on the beach. Our trip could not have ended in a better way. But what if we’d had reservations that we couldn’t have canceled? What if we’d had to stick things out in the monsoon? That serious question makes me leery of the surge in on-line hotel bookings. I’m sure that plenty of people still make last-minute decisions, but they wind up paying more money to stay in more inconvenient parts of town. It’s not a good trade-off. In my fictional world, I’m still my own boss. Hence in THAI TWIST the Campanello sisters fight the monsoon by making last-minute travel plans, and everything works out just fine. But that’s fiction. Consider your own travel plans over the past five years. How has the technological change altered your own arrangements? Has it made your trips smoother or not as smooth, more interesting or less interesting, more stressful or less stressful? 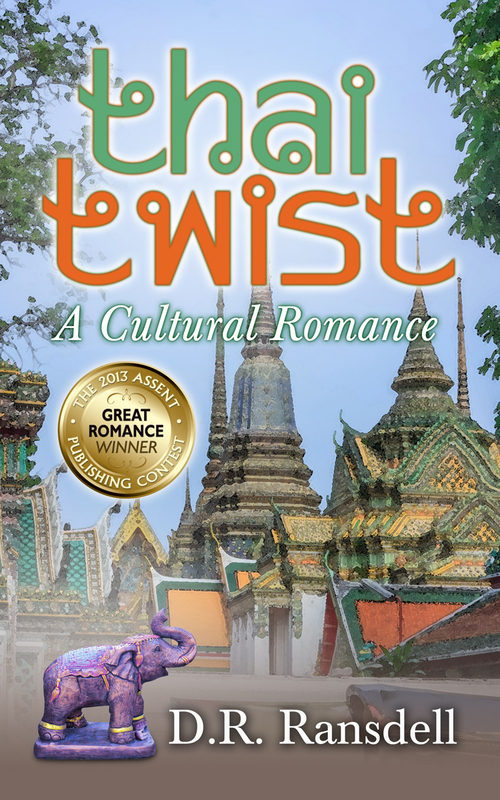 Find Thai Twist on Amazon! This entry was posted in Awesome Reads, Breathless Books and tagged 2013 GREAT ROMANCE Contest, Assent Publishing, Contest Winner, D.R. Ransdell, Guest Blogger, Romance, Thai Twist, Thailand, Travel Fiction, Travel Novel, Young Adult Romance. Bookmark the permalink.